Not sure if it’s actually the ultimate but it sure is awesome. There is lots of detail here and more pics in the description. I thought “ooohh!... I want one” but having just dropped almost $300 CAD on a new router figured the wife wouldn’t be so happy with me dropping another $80… so I decided to make one. The SmartURB is a micro-adjustable router base that supports mortising, small circle cutting, large circle cutting, edge guide with fence, edge banding trimming and an offset base for stability. 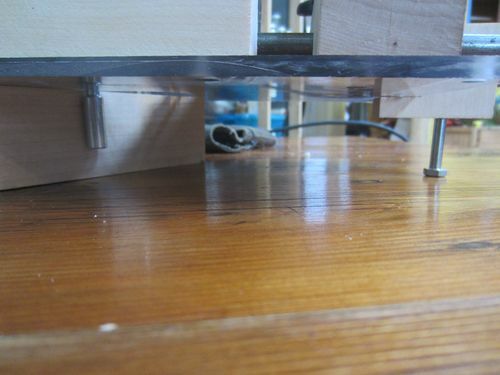 It also features a adjustable support leg for situations where the router could be easily unbalanced, such as mortising small stock. The base is made from 1/4 inch perspex and has mounting holes for the various accessories. 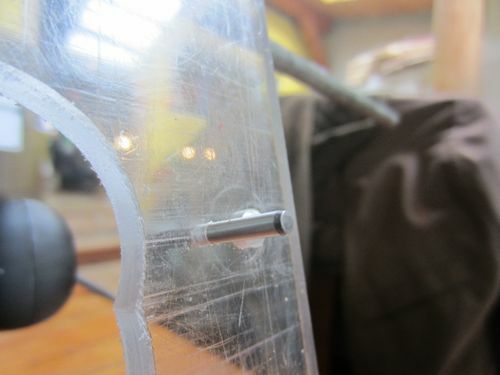 The lead screw 3/8th threaded rod and is trapped in it’s housing with two lock nuts. (pic 4). The router is carried along the screw by two nuts that were conveniently trapped in place by the body of the router (pic 5). I had to shim the far nut to stop it spinning in place. 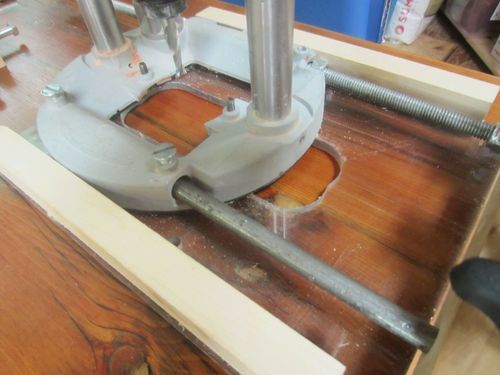 There is also a 3/8” steel rod trapped in the router base and running through the wooden housing, with a knob running through a threaded insert to lock the router in place once it is set. Originally this was supposed to be the only support for the router on the jig but my lame drill press left me with too much slop for that so I added the wooden fences to keep the router stable. 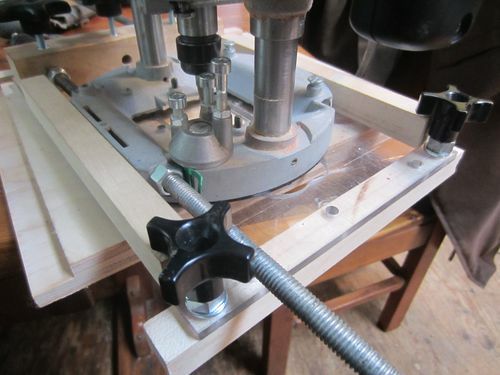 Speaking of keeping the router stable, you can see the support leg mechanism in pics 3 and 6, this remarkably effective and useful, especially when routing mortises in 3/4” stock. See it in action (kinda) below. 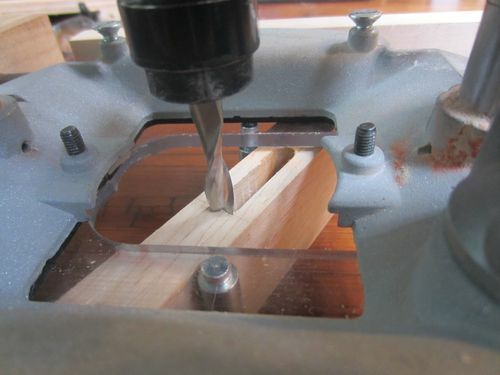 It is made from a maple offcut with a piece of 3/8” rod that is inserted into the housing, with a kerf that slips over the base to stabilize it. The foot is a 6” long 1/4” bolt running through the body and a quarter inch bolt through a threaded insert to lock it in place. 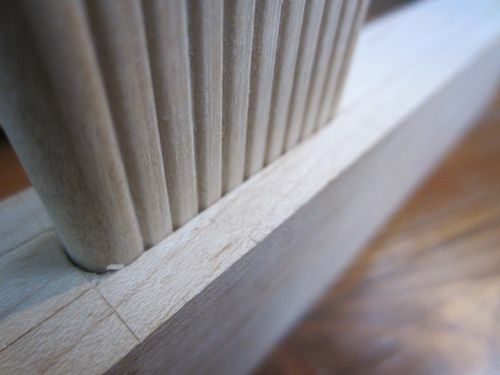 Mortising is achieved by inserting two pins into holes in the base of the router(these came from my router plates), twisting the base to center it on the workpiece and then using the micro adjust to dial in the position of the bit, offset mortises and wide mortises are easy. The nice thing about this setup is you don’t have to have your pins exactly on any particular axis as the bit can be dialed into any position. Here you can see one of the pins and the support leg. 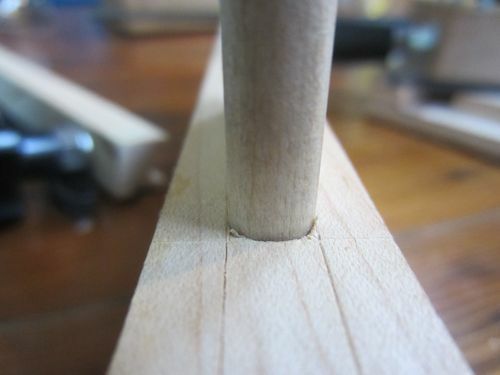 And here the pins centered and the bit together. 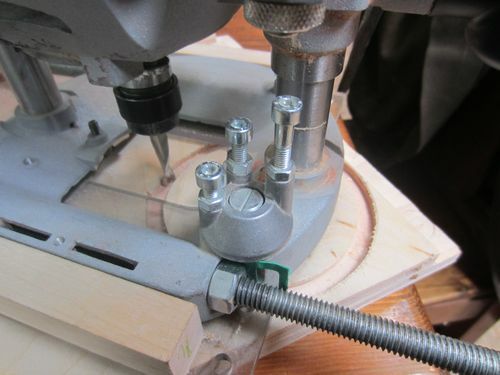 Circles follow the same path as mortises (they are just a round mortise really) mark your center and circumference, drill a 1/8” hole in the center, mount the router and use the micro adjust to dial the bit to your circumference and route! Circles from 3/4” to 12 1/2” can be routed this way. 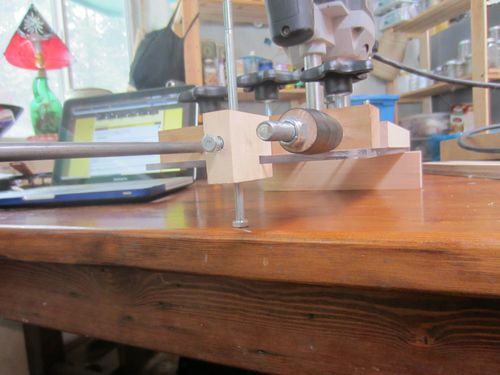 For larger circles a 3/8” rod can be inserted into the same hole the support foot goes into in the back of the housing, locked down with a star knob and fitted into a spinning center for circles with a diameter over twice the the length of the 3/8” rod. There are no pictures as I haven’t purchased the rod or built the center yet. 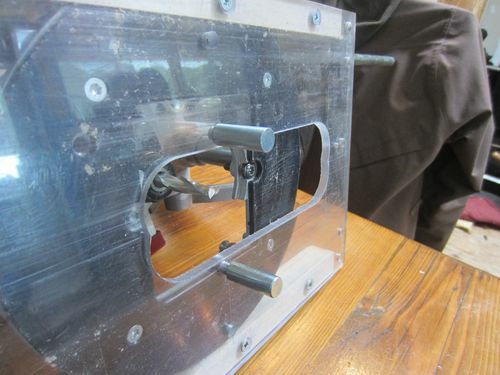 The fence is a fence and attaches to the left or right of the base using 1/4” bolts. It may change at some point. Easy enough to do. For sure want to develop some sort of fence extender with a long fence and maybe jointing capabilities… some day… not today. 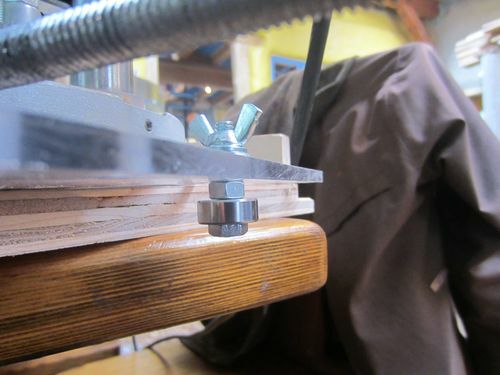 The edge banding trim setup has a guide bearing that bolts into the end of the jig and will have a secondary base that lifts the router base up 1/4” to clear the banding, but I haven’t made it yet. Maybe later today. It would also work for routing blood channels in chopping boards. Well, that’s about it for now, there is lots more to the URB than that but my fingers are tired and I have to make lunch for the kids and walk the dog. If you’re interested let me know and I will shoot some video of it in action. Looks great. I’ve needed something similar for a while. May borrow some of your ideas when I get started. Great work. Would love to see it in action! saved, thanks for the ideas! Very nicely thought out, designed, built, photographed and written. Outstanding job. Thanks for posting. This is great! I’m just not sure what it does, how it works, how to make it, or how to use it. I’m sure it would be useful if I could answer those questions, though. LJackson, if you watch the video in the link I posted it shows the features of the commercial product… mine does all the same stuff.